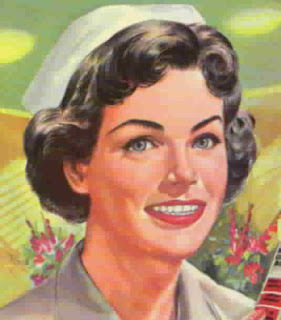 Above is the old image of a nurse - female, white uniform and cap. Nurses, of course, haven't looked like that for a long time now. 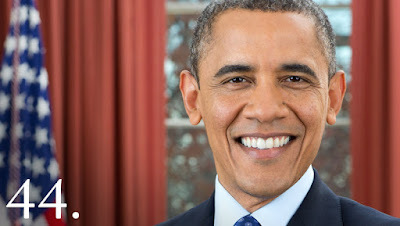 In the United States and the UK, for example, about 10 per cent of nurses are male. A 2013 study for the U.S. Census Bureau reported that the number of males in the profession has more than tripled since the 1970s. The image of nurses has undergone a major transformation over the years. 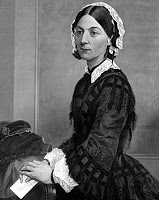 Think of Florence Nightingale (1820-1910), the founder of modern nursing, or Cherry Ames, the main character in a series hospital mystery novels published between 1943 and 1968. Nightingale and the fictional Cherry Ames, bear scant resemblance to today's nurses. Although today's nurses are just as dedicated, they certainly have a different appearance. It is highly unlikely that nurses are ever going to revert to wearing all-white uniforms. 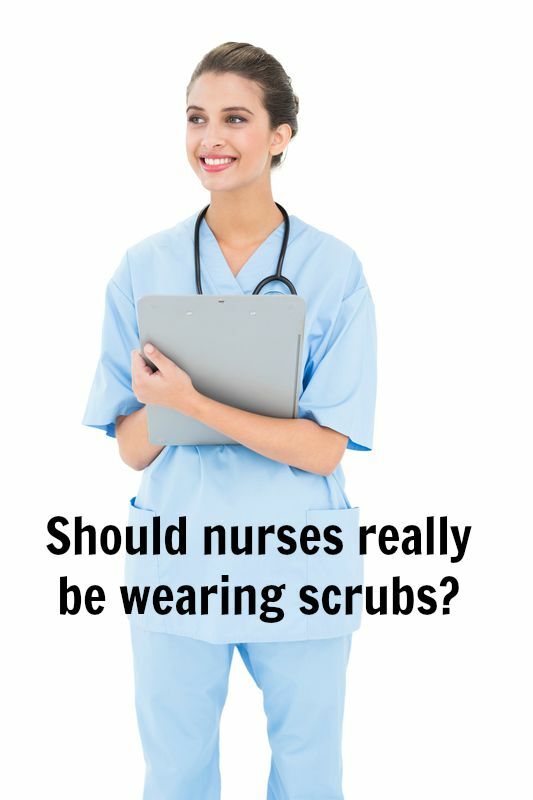 The main reason is that most nurses don't want to wear the traditional uniforms. They argue that white uniforms stain more easily and are more expensive to clean. In addition, they are not suited to the increasing number of males in the nursing profession. 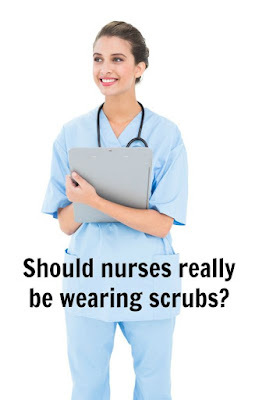 Scrubs are preferred because they are considered more comfortable and more practical. However, the absence of white uniforms has created some difficulty and also some discombobulation. 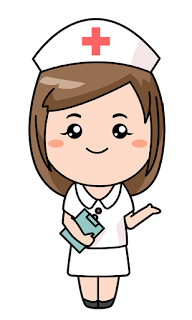 Identifying nurses has become far more problematic for hospital patients and visitors It is not often easy to distinguish them from doctors, lab technicians and other medical personnel in hospitals. They all seem to be wearing scrubs. Perplexed patients are frequently left wondering which person in scrubs is a nurse. I underwent a surgical procedure last summer and found it quite a challenge to identify the nurses. Here is my point. In order to avoid confusion, there should be a clearer way to identify and distinguish nurses. Name tags don't really solve the problem. They are not easy to read from a distance, especially for those of us with poor eyesight. It is evident that nurses require some type of identifying feature, or perhaps they could wear comfortable non-white uniforms. There has to be a better way. One of my interests is having fun with language. I really enjoy word games, figures of speech and wordplays. Among my favourites are paraprosdokians. That's right - paraprosdokians. It's quite a mouthful, isn't it. It sounds like the name of a creature in J.R.R. Tolkien's Lord of the Rings. 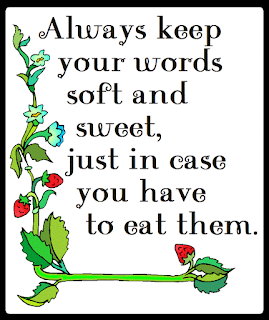 "The term "paraprosdokian" is derived from Greek words meaning "against" and "expectation." 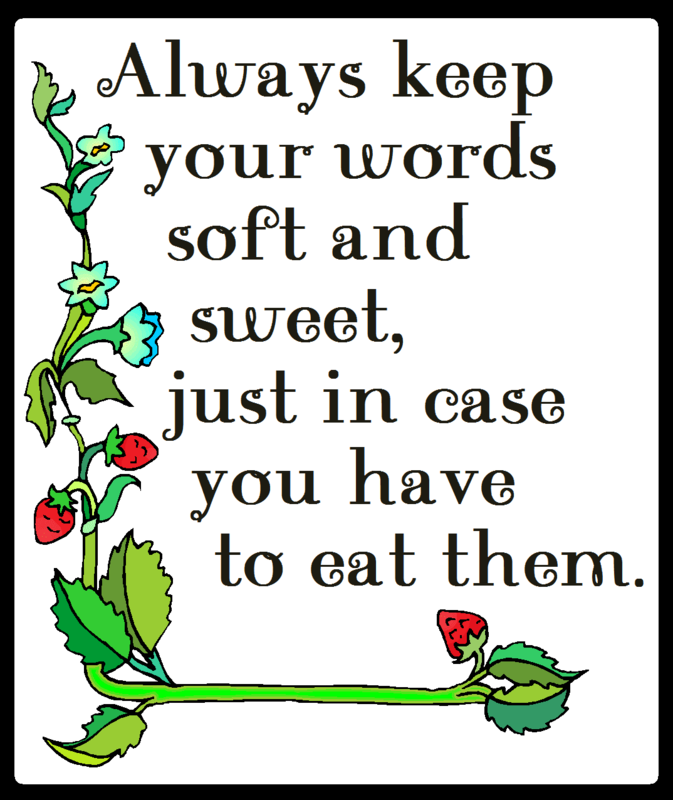 A paraprosdokian is actually a literary device in which the last part of the sentence or phrase is surprising, shocking or unexpected. It can be found in prose and poetry and has been described as a "linguistic U-turn." In baseball parlance, a paraprosodokian is a phrase that "throws you a curve." The latter part of the phrase causes you to rethink the first part. Former British prime minister Winston Churchill was an absolute master of paraprodokians. 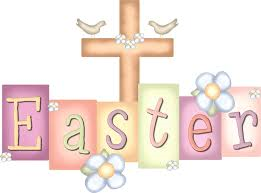 An example of a Chuchillian paraprosdokian is "There but for the grace of God - goes God." Sir Winiston also once famously remarked: "You can always count on the Americans to do the right thing - after they have tried everything else." He reportedly described his political rival, Clement Attllee, as "a modest man, who has much to be modest about." Concerning democracy, Churchill made this well-known declaration: "It has been said that democracy is the worst form of government except all those other forms that have been tried." He had some advice too: "If you are going through hell, keep going." 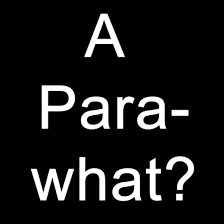 Paraprosodokians are often employed by comedians and satirists for humorous or dramatic purposes, Stand-up comics frequently use "one-liners" because the set-up and the punch line are in a single line. Henny Youngman's "Take my wife . . .please!" is perhaps the most famous one-liner. Not surprisingly, comedian Groucho Marx was fond of paraprosdokians. He uttered the following zinger: "I've had a perfectly wonderful evening, but this wasn't it." 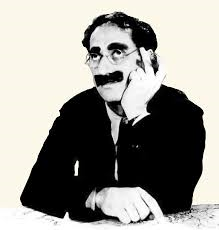 Groucho also uttered this comment: "Time flies like a an arrow, fruit flies like a banana." Here's another one from him: "I once shot a diplomat in my pyjamas. How he got in there I'll never know.". And another: "Outside of a dog, a book is man's best friend. Inside of a dog, it's too dark to read."" Finally, I just can't resist one more from Groucho: "She got her good looks from her father. He's a plastic surgeon." could just say a few words . . . I'd be a better public speaker." Albert Einstein has been credited with"the following observation: 'The difference between stupidity and genius is that genius has its limits." However, there is no substantive evidence that the brilliant scientist ever made such a statement. Mahatma Gandhi, the spiritual father of India, proved he could be quite adept at using paraprosdokians. Here is what he once quipped: "What do I think of Western civilization? I think it would be a very good idea." 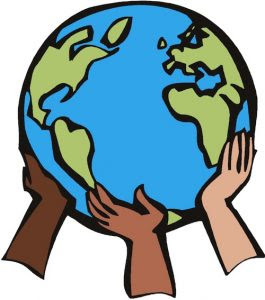 This paraprosdokian is attributed to playwright Oscar Wilde: "Some cause happiness wherever they go. Others whenever they go." 1. If you can't sleep, count sheep. Don't count endangered animals. You will run out. 2. The last thing I want to do is hurt you . . . but it's still on my list. 3. Since light travels faster than sound, some people appear bright until you hear then speak. 5. We never really grow up - we only learn how to act in public. 9 I didn't say it was your fault, I said I was blaming you. 10, In filling out an application, where it says, "In case of emergency, notify , , , I answered "a doctor." 13, I used to be indecisive, but now I'm not so sure. 18, They begin the evening news with ‘Good Evening,’ then proceed to tell you why it isn’t. 19. Buses stop in bus stations. Trains stop in train stations. On my desk is a work station. 20, I thought I wanted a career. Turns out I just wanted paycheques. 21. Behind every successful man is his woman. Behind the fall of a successful man is usually another woman. 22, A clear conscience is the sign of a fuzzy memory. 23, Money can’t buy happiness, but it sure makes misery easier to live with. 26. Silence is golden, duct tape is silver. 27. Where there's a will, there are relatives. 28, Of course I agree you're a wit . . . even if your're only half right. 29. Sometimes I pretend to be normal. But it gets boring . . . so I go back to being me. 30, She often stood outside in order to be outstanding. 31, Do not argue with an idiot. He will drag you down to his level and beat you with experience. 32. The food here is terrible . . . and such small portions. 33. You don't seem to be yourself lately. So tell me, what brought about such an improvement? 34. Your argument about the Middle East is sound . . . nothing but "sound." 35. The early bird gets the worm but the second mouse gets the cheese. Here is an infographic about bugged-themed furniture and decor. I hope you enjoy it. Perhaps it will provide you with some hone decorating ideas. Bugs You'll Want In Your Home by Terrys Fabrics.